Why Have Someone Check Your Car Seat? We all know that driving or riding in a car can be dangerous. For young children a car seat is the best way to protect them in the event of an accident. Unfortunately, properly installing those car seats can be a challenge. 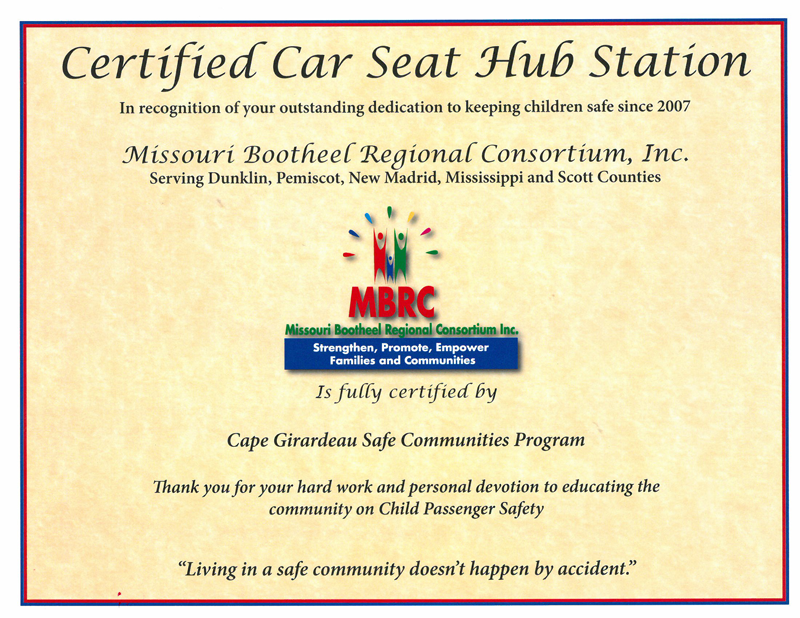 That’s why MBRC is proud to be a Certified Car Seat Hub Station. Staff members are available to help with car seat installation and to check that car seats are properly installed in your vehicle.